Jessica Tatiana Long was born on 29th February 1992. 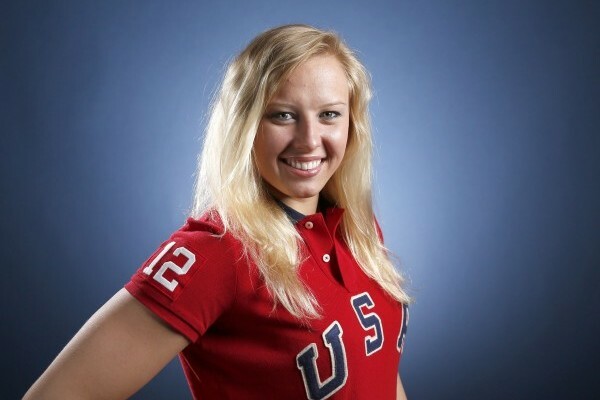 She is a Russian-born United States Paralympic swimmer from Baltimore, Maryland. She is the current world record holder in 13 Paralympic events, including one as part of a relay team. Long was born Tatiana Olegovna Kirillova in Bratsk, Siberia and adopted at the age of 13 months. Because of fibular hemimelia, her lower legs were amputated when she was 18 months old. She learned to walk with prostheses. Long has been involved in many sports including gymnastics, cheerleading, ice skating, biking, trampoline, and rock climbing. She began swimming in her grandparents’ pool before joining her first competitive team in 2002. The next year, Long was selected as Maryland Swimming’s 2003 Female Swimmer of the Year with a Disability. Long entered the international stage at the 2004 Paralympic Games in Athens, Greece, winning three gold medals in swimming. 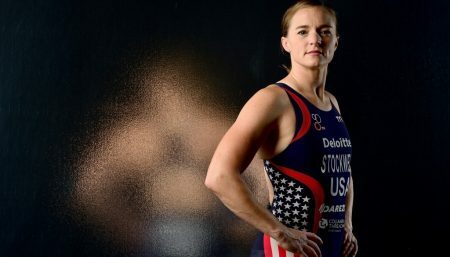 Aged twelve at the time, she was the youngest competitor on the U.S. Paralympic Team. Long had 18 world record-breaking performances in 2006. Her performance at the 2006 International Paralympic Committee (IPC) Swimming World Championships in Durban, South Africa where she won nine gold medals for her participation in seven individual medleys and two relays. 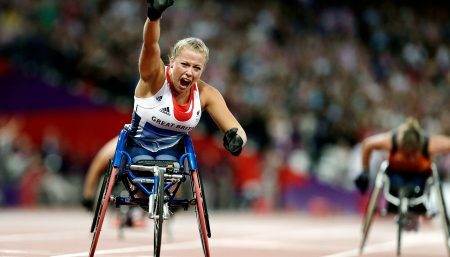 She also held five world records which made her known from outside the world of Paralympic sport. In 2006, Long became the first Paralympic athlete selected as the AAU’s James E. Sullivan Award winner. She was honored as the U.S. Olympic Committee’s 2006 Paralympian of the year and Swimming World Magazine’s 2006 Disabled Swimmer of the Year. In 2008, Long won six medals at the Paralympics, including four gold. In addition to her four gold medals, Long set three new world records. One of her gold medals was the 100-meter freestyle, which she swam just 0.19 seconds ahead of Paralympic-record-holder and world-record-holder Israeli Keren Leibovitch.